Asities are very small, compact birds with tails so short that individuals look almost spherical, ball-shaped. The velvet and Schlegel's asities grow up to 6 inches (15 centimeters) long and weigh up to 1.5 ounces (40 grams). The common and yellow-bellied sunbird-asities (also called false sunbirds) are smaller, up to 4 inches (10 centimeters) long and up to 0.88 ounces (25 grams) in weight. Both of these species have long, thin, down-curved beaks, like those of nectar-feeding birds. The two asity species have more modest, short, slightly downcurved beaks. Males sprout brilliant, colorful plumage (feathers) and caruncles (KAR-un-kulz; wart-like skin bumps) at the beginning of the mating season (October through February). After the breeding season, the males revert to duller coloration. Females do not change colors and their colorations are more drab, being various mixtures and patterns of olives, grays, dull greens and dull yellows. The coloration of males outside the breeding season resembles that of the females of the same species, and the caruncles fade and disappear. phylum class subclass order monotypic order suborder family rainforest, and higher altitude scrub forest (forest with low trees and shrubs). All four species are common and in some areas, plentiful, but since they spend much time in the upper reaches of forests, and because of their small size, asities are difficult to spot and observe. The velvet asity inhabits most of the east coast of Madagascar, in tropical primary and secondary rain forest from sea level to 5,700 feet (1,900 meters) above sea level. 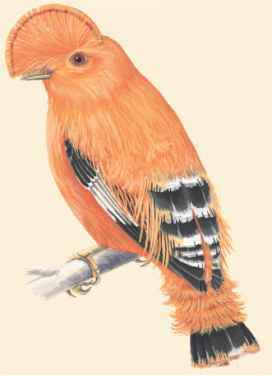 Schlegel's asity lives in tropical deciduous forest in northwestern and western Madagascar. The common sunbird asity lives in the mountainous tropical rainforest belt along most of the east coast, between 1,200 and 4,350 feet (400 to 1,450 meters) above sea level. The yellow-bellied sunbird asity lives in mossy mountain scrub forest that fringes the east coast forest belt between 3,630 and 5,970 feet (1,210 and 1,990 meters) of altitude.